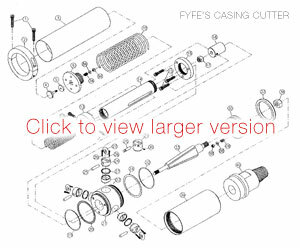 Fyfe's combination casing cutters are available in two sizes, a 6 and 8 inch, and a 10 to 12 inch. 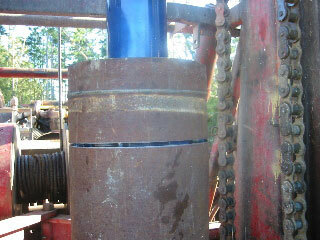 Below, the cutter is shown cutting a 12 inch pipe. 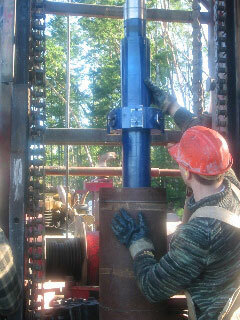 The Fyfe Under Reamer, screen pullers, and various smaller tools to make the well drilling process faster and more profitable.